During the interwar years France experienced severe political polarization. 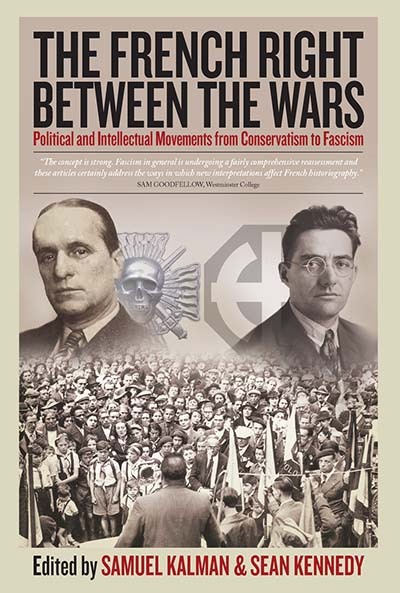 At the time many observers, particularly on the left, feared that the French right had embraced fascism, generating a fierce debate that has engaged scholars for decades, but has also obscured critical changes in French society and culture during the 1920s and 1930s. This collection of essays shifts the focus away from long-standing controversies in order to examine various elements of the French right, from writers to politicians, social workers to street fighters, in their broader social, cultural, and political contexts. It offers a wide-ranging reassessment of the structures, mentalities, and significance of various conservative and extremist organizations, deepening our understanding of French and European history in a troubled yet fascinating era. Samuel Kalman is Associate Professor at St. Francis Xavier University. He is the author of French Colonial Fascism: The Extreme Right in Algeria, 1919-1939 (Palgrave, 2013), The Extreme Right in Interwar France: The Faisceau and the Croix de Feu (Asghate, 2008), numerous book chapters and journal articles, and editor of the 2010 special issue of the journal Historical Reflections/Réflexions historiques devoted to the theme of colonial violence. Sean Kennedy is Professor of History at the University of New Brunswick. He is the author of Reconciling France against Democracy: The Croix de Feu and the Parti Social Français, 1927-1945 (McGill-Queen’s University Press, 2007), The Shock of War: Civilian Experiences, 1937-1945 (University of Toronto Press, 2011), and several scholarly articles.